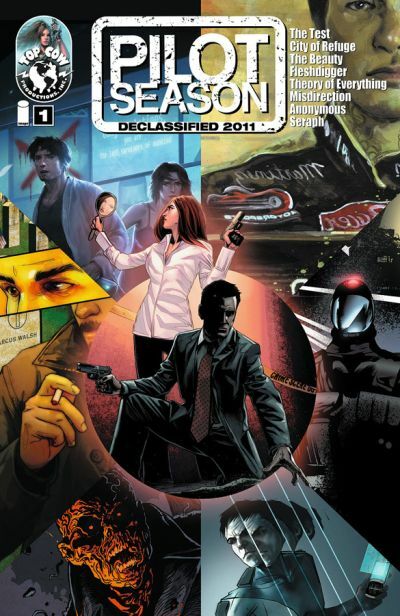 Top Cow’s 2011 Pilot Season Is On The Air! 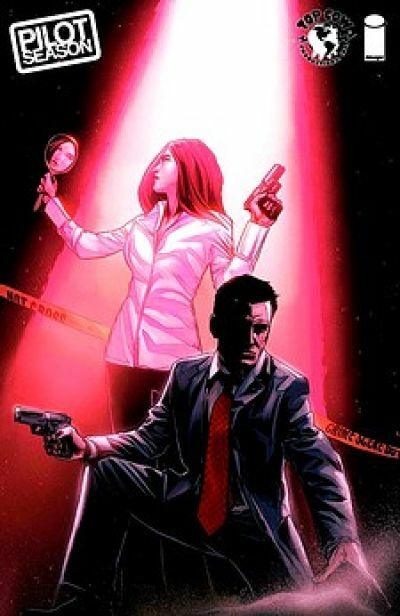 Berkeley, CA—18 August 2011—For the fifth consecutive year, Image Comics and Top Cow Productions proudly announce this year’s Pilot Season titles and creative teams. This year’s contestants for the comics industry’s premiere fan driven initiative include award winners, screenwriters, stellar art teams and even a Chicago Bear. The rules to PILOT SEASON are simple. Each competing team gets a one-shot “pilot issue” comic book to win over fans. When all the books have been released in direct market stores and digital partners, the fans take control and vote on their favorite series. 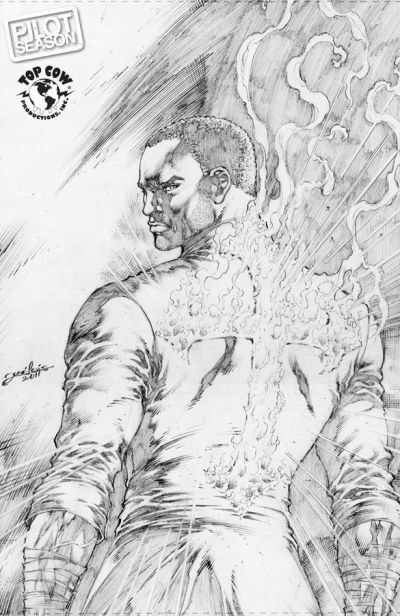 The winner of Pilot Season gets the green light to produce a series to be released at a later date through Top Cow Productions. Last year, over a million votes were cast for winner 39 MINUTES written and created by William Harms (IMPALER) with art by Jerry Lando. The Harvey nominated creative team of ECHOES, JOSHUA HALE FIALKOV (Iâ€¦Vampire) and RAHSAN EKEDA (Solomon Kane) reunite to kick off 2011’s PILOT SEASON competition with TEST. A group of ten strangers wake up in a mysterious town with no memory of who they are and how they got there. They are the lone survivors of an apocalyptic event, chosen to repopulate the Earth. But what is the true nature of their fate? TEST offers a fresh take on survivalist horror and psychological thriller in the way only FIALKOV and EKEDAL can! Over a decade after Terminal, the residents of San Francisco live a peaceful and prosperous existence thanks to the Program. Every resident of the city is hand-selected and implanted with the chip Secura, which removes the human capacity for violence to maintain the greater good. Only the city’s security forces are allowed a brief reprieve from Secura through use of the drug Freestone in order to do their jobs. Now, rumors of Freestone getting out into the open market threaten to upset the delicate balance keeping humanity from extinction. Screenwriter MORGAN DAVIS FOEHL and artist DENNIS CALERO (X-Men: Noir) deliver a twist on the classic dystopian future in CITY OF REFUGE! Modern society is obsessed with outward beauty. What if there was a way to guarantee you could be come more and more beautiful every day? What if it was contagious? In the world of The Beauty, physical perfection is attainable and while the mass majority of the population has taken advantage of it, Detectives Foster and Vaughn will soon discover it comes with a terrible price. 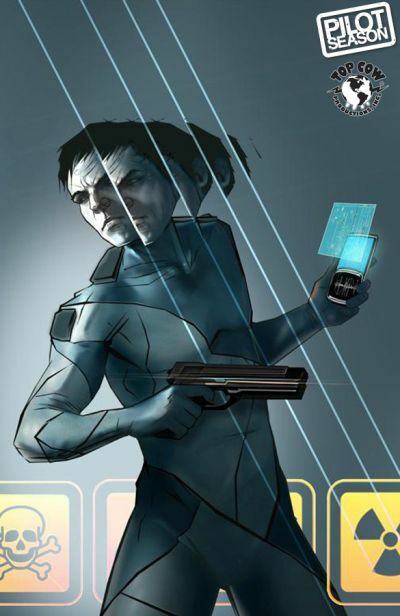 Writer/artist JEREMY HAUN (Detective Comics, ARTIFACTS) and co-writer JASON HURLEY offer up a startling reflection on the cost of looking good in this procedural science fiction tale. A random act of kindness can be damning. When a man witnessed the ruthless beating of an innocent woman, he rushed to help her and was brutally murdered for his trouble. Now driven by revenge, sorrow, and guilt, the woman enacts arcane forces to resurrect him. From out of the earth he’ll rise, a twisted, worm-riddled monstrosity forced to carry out vengeance to maintain whatever life he has left, all while confronting the unimaginable truth of his new, hideous existence. Is he forever damned to be a rotting monster driven by an insatiable bloodlust…or is it possible to shed the curse and return to normal? 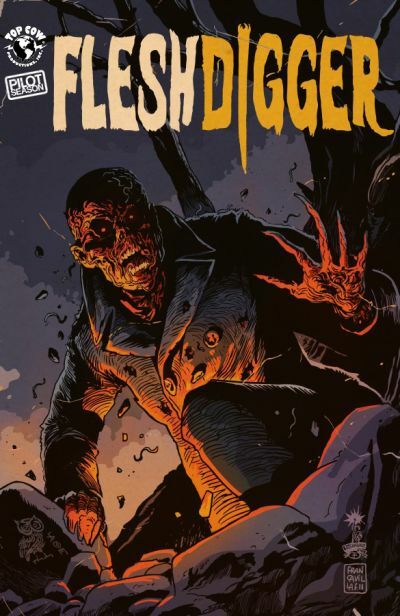 The torment belongs to the living nightmare they’ll call Fleshdigger. God help anyone who gets in his way! From Harvey Award nominee SHANNON ERIC DENTON (GRAVESLINGER, Common Foe) and screenwriter BRAD KEENE (The Grudge 3) and artist ALEX SANCHEZ (Fathom: Blue Descent) comes a tale of supernatural horror! Vince Martinez raced cars for a living, now he can’t even drive. A tragic mistake took Vince from the height of success to losing his career, his family & his freedom. 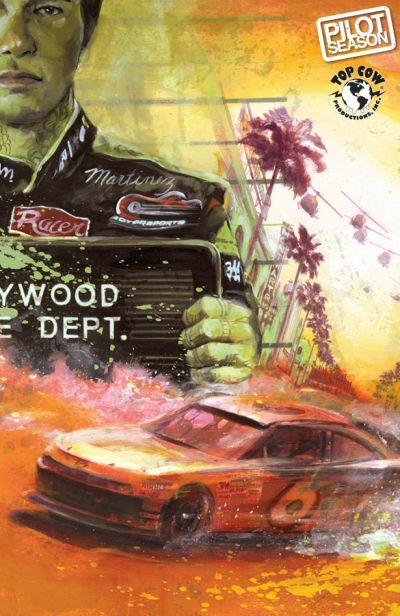 When he is unwittingly made the getaway driver for a bank robbery gone wrong, will Vince head back to jail or show the world why he was NASCAR’s hottest driver in one of the heaviest trafficked cities in the US. 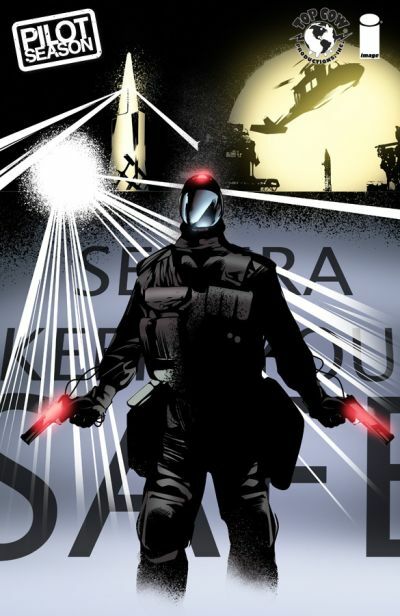 Writer FILIP SABLIK (LAST MORTAL, PILOT SEASON: ASSET) teams with artist CHRIS DIBARI (Pale Horse, The Warriors) hit the gas on a high-speed fugitive tale with a twist! Writer/director DAN CASEY and artist THOMAS NACHLIK (LAST MORTAL) deliver fast-paced, action-packed science fiction that will keep you guessing. 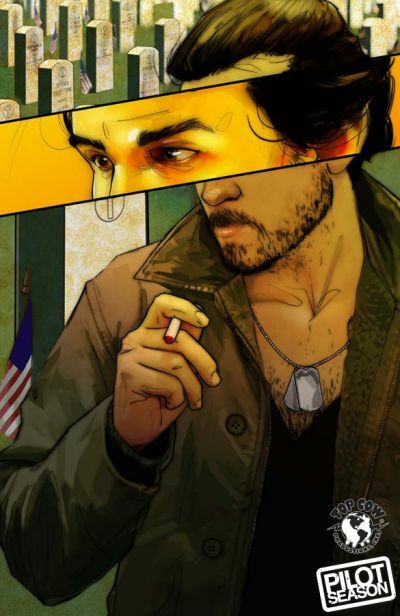 Marcus Walsh was an elite Special Forces soldier involved in black ops all over the world. Wet work like this takes its toll and Marcus wanted out, but this wasn’t a job you quit. There was only one way out. Now believed dead and completely anonymous, Walsh struggles to use his black ops skills to atone for his past sins. Screenwriter ALAN McELROY (SPAWN, Tekken) newcomer MICHAEL MONTENAT delivers a hard-hitting adventure of redemption and conspiracy! The angelic warrior now known only as Seraph was once a sinner. After living a life of selfishness and sin, personal tragedy drove him to kill himself. Plucked on his way to Hell by Heaven, the man was made Heaven’s soldier in an endless battle. Charged with fighting an ancient war, but bound by God’s law, can Seraph triumph over opponents not restricted in the same way and regain his faith in the process? Creator LANCE BRIGGS (Chicago Bears) and writer PHIL HESTER (THE DARKNESS, Wonder Woman) are joined by artist JOSE LUIS (Justice League of America) deliver a story of personal loss and redemption wrapped in a rich supernatural mythos. With a record number of competing titles, the voting this year will be done in a triple elimination system in December. 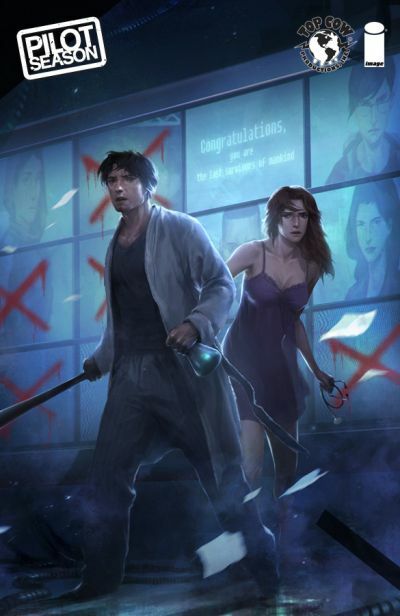 After the final release in November, fans will be able to log onto TopCow.com and vote for their favorite for two weeks with no restriction on the number of votes per day. Then the top four will compete for a week with one vote per fan per day allowed. Finally the top two square off for one week with one vote per fan per day. All PILOT SEASON one-shots are 32-page full color comic books that will go on sale for $3.99.